RUN, DON’T WALK!! 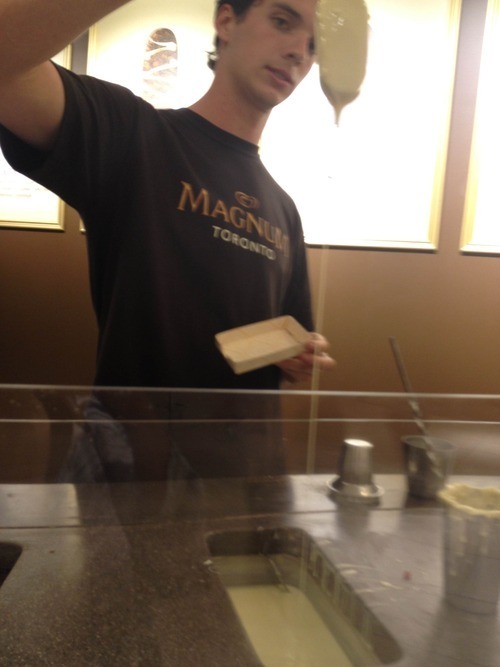 Get to the Magnum Pleasure Store in Toronto ASAP as it is only here for the month of July. I have been etching to go all month and last night was finally the night. 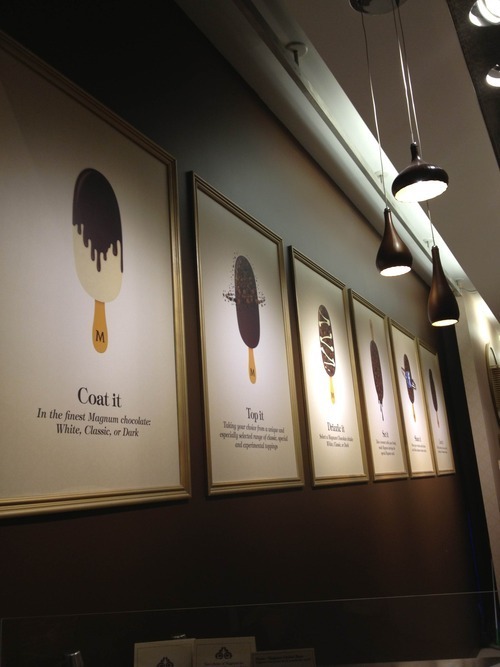 If you haven’t heard about this genius pop up, it’s a make-your-own-Mangum ice cream bar shop. The line-up out the door was totally worth it. First you pick your ice cream-vanilla or chocolate, followed by your dip-white, milk, or dark chocolate, next comes the toppings, and then finished with either white, milk or dark chocolate drizzle. All of this is a flat rate of only $6.00 which I found to be quite reasonable. My creation was vanilla ice cream dipped in white chocolated coated with toffee bits, crumbled biscuits, hazlenuts and chocolate flakes drizzled in milk chocolate, and topped off with a little chocolate Magnum logo. 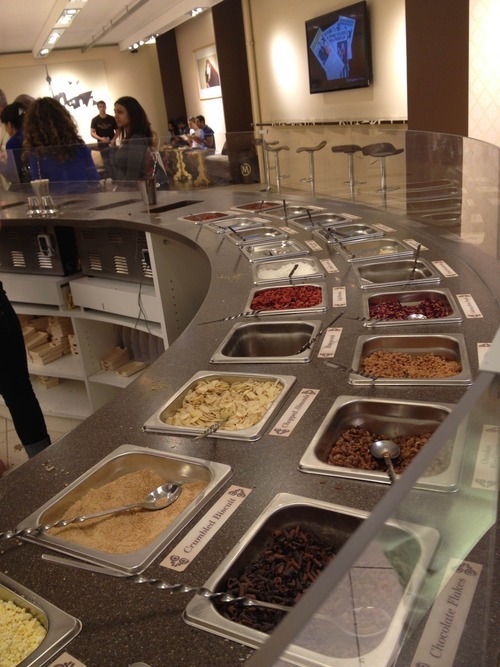 The combination of ice cream, chocolate and toppings came together OH SO NICELY. It was rich, decadent, indulgent, and soooooo yummy. 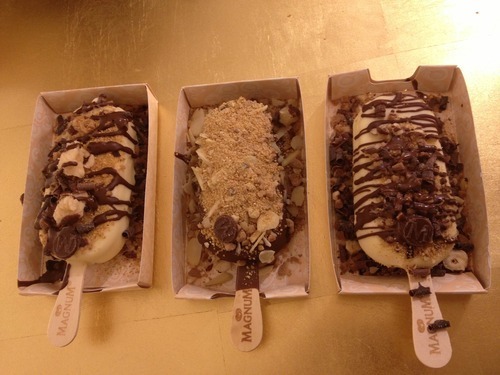 I want one right now, and tomorrow, and the next day, and the next day…Go.Get.One.Now.